It appears President Trump is zeroing in on a choice for next Federal Reserve chair. Two sources told CNN on Saturday that Trump will likely name Jerome Powell to lead the central bank. Powell, a Republican, has been a governor on the Fed's board since 2012, and he was assigned to lead the bank's Wall Street oversight committee back in April. Trump has yet to make a formal decision, but the White House said he'd announce his choice next week. He could still change his mind, the sources said. His apparent lean toward Powell is a major development. 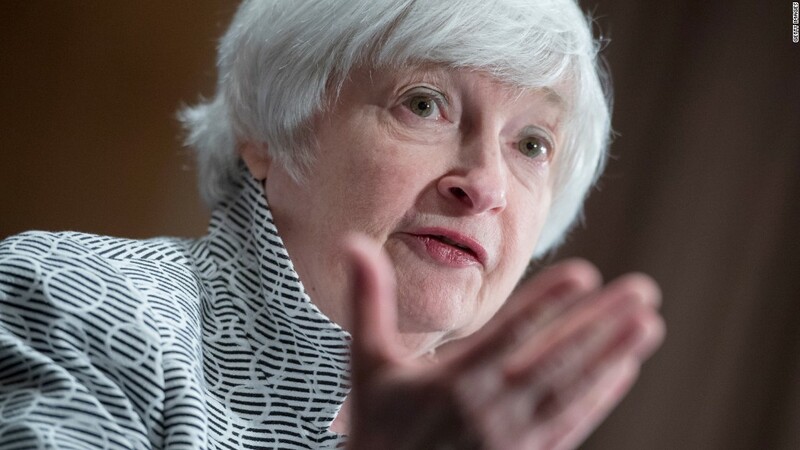 For weeks there has been speculation about whether Trump would renominate current Fed chair Janet Yellen to another four-year term. Yellen was nominated by President Obama in 2013, and her current term expires in February 2018. During his campaign, Trump accused Yellen of making policy decisions aimed at earning political points for Obama. But since Trump was inaugurated, he softened his tone and has even praised Yellen's decision making. Yet, the pair stand at odds on several issues. Trump has promised to start peeling back the financial regulations put in place after the financial crisis of 2008. Yellen is generally not a fan of that idea. She argues they're key to the U.S.'s continued economic recovery, though she has suggested she'd be willing to take a second look at certain Dodd-Frank rules that apply to small banks. Yellen could not be immediately reached for comment on Saturday. Trump's pick for Fed chair is one of the most important decisions he'll make as president. The U.S. central bank leader is considered one of the most powerful posts in the world. Powell would be an unusual pick. Every Fed chair since 1979 has been an economist, but Powell's background is in investment banking. Powell is largely supportive of Yellen's approach to slowing raising interest rates as the economy improves. He's been backed by Mnuchin, who has spearheaded Trump's Fed chair search.